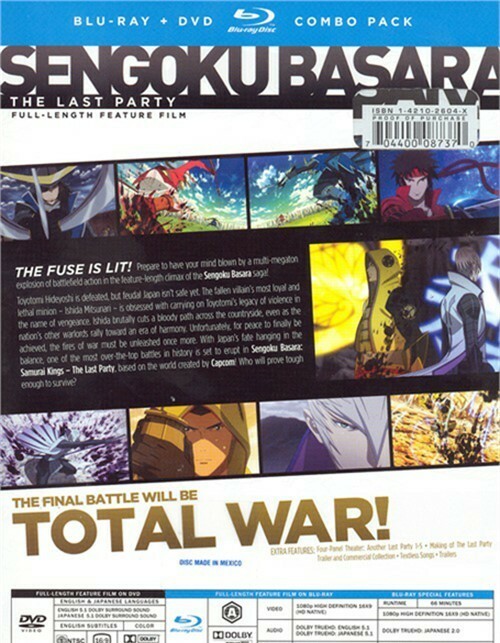 Plot:Get ready for the hacking, slashing battle of a lifetime in a new adaptation of the Sengoku Basara franchise. The new installment, based on the world created by Capcom, revolves around one massive conflict featuring mechanized samurai, mystical ninjas, gun-toting warriors, and a blinding array of deadly special moves! During the turbulent period of warring states, numerous feudal lords sought to rule the land of the rising sun. 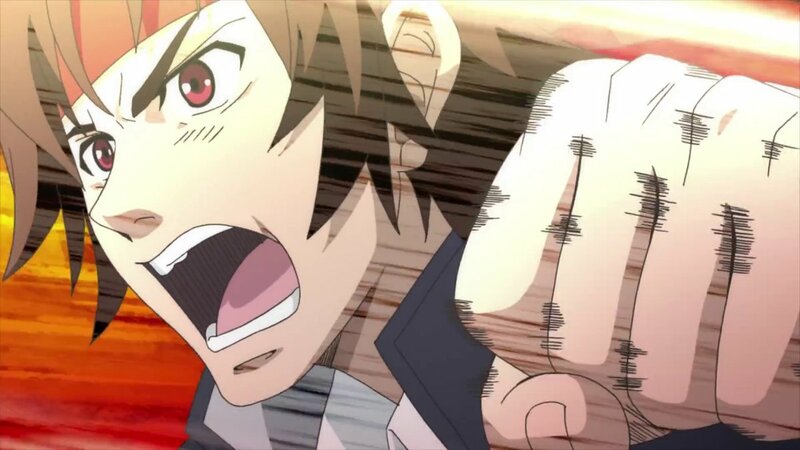 With Nobunaga defeated, Hideyoshi lead a brutal campaign to wipe out the remaining combatants. His ambitions were crushed, however, when he was betrayed by the idealistic Tokugawa Ieyasu. Ieyasu’s rebellion marked the start of a new conflict that would put old and new alliances to the test as Hideyoshi’s loyal followers began plotting their revenge, and the other remaining lords prepared their armies for the showdown at Sekigahara. Plot: Toyotomi Hideyoshi is defeated, but feudal Japan isn’t safe yet. The fallen villain’s most loyal and lethal minion – Ishida Mitsunari – is obsessed with carrying on Toyotomi’s legacy of violence in the name of vengeance. Ishida brutally cuts a bloody path across the countryside even as the nation’s other warlords rally toward an era of harmony. Unfortunately, for peace to finally be achieved the fires of war must be unleashed once more. 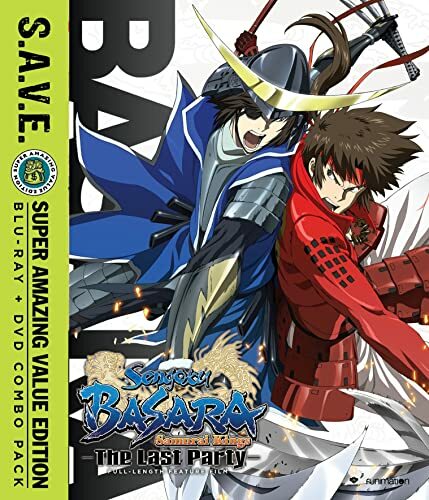 Manga Entertainment UK has previously released Sengoku Basara: The Last Party as a Blu-ray and DVD Combo Pack within the UK and features the same content as this US release. 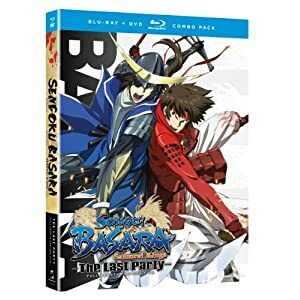 Sengoku Basara: The Last Party is currently available in the UK as a Blu-ray / DVD Combo Pack via Manga Entertainment UK and it contains the same bonus content (excluding trailers); so it may work out more viable to purchase the official UK release instead of importing it. 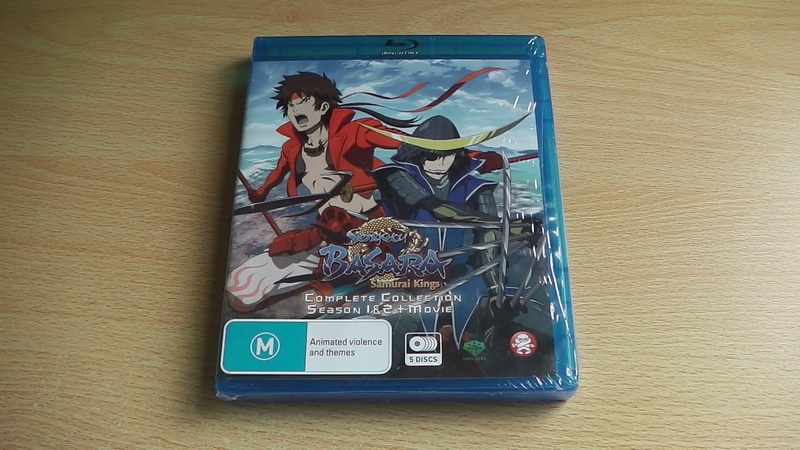 As previously mentioned in a ‘Region Check’ article Season 2 of Sengoku Basara is Region Free, meaning that people within the UK will be able to enjoy this anime, which is based off a Capcom game, in full High Definition. 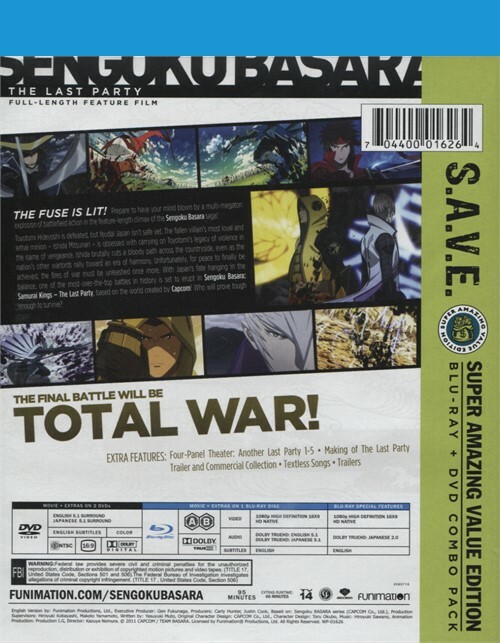 This particular release not only includes the DVD set, which is Region Locked, but it also includes a Limited Edition artbox where it can hold both Season 1 and Season 2 sets. 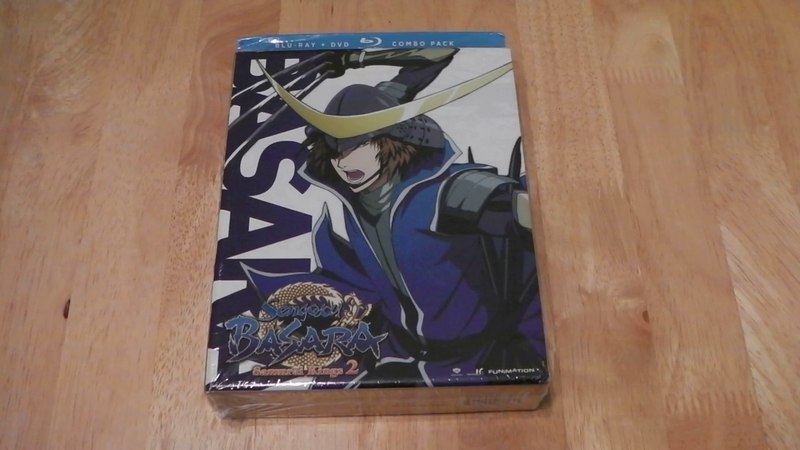 Better yet the UK Blu-ray release of Season 1 fits perfectly fine inside the carded artbox, making this set an ideal purchase for UK Sengoku Basara fans. 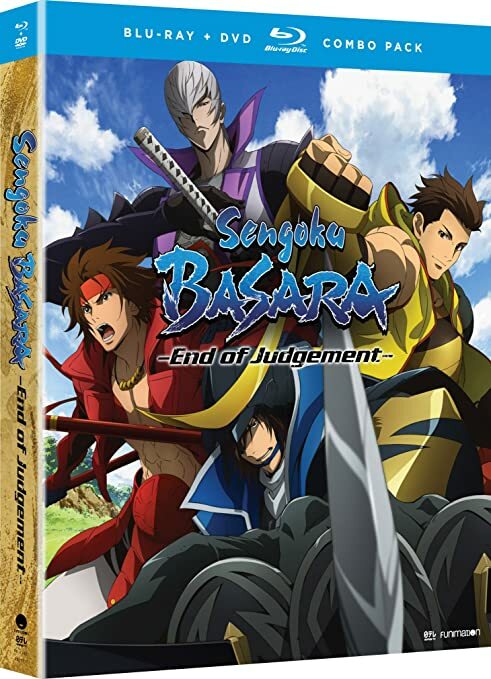 Included on the discs we have 7 Sengoku Basara Katakura-kan Episodes, Cast commentaries, textless songs and trailers for other FUNimation releases in addition to all 12 episodes of the TV series and the bonus OVA episode. 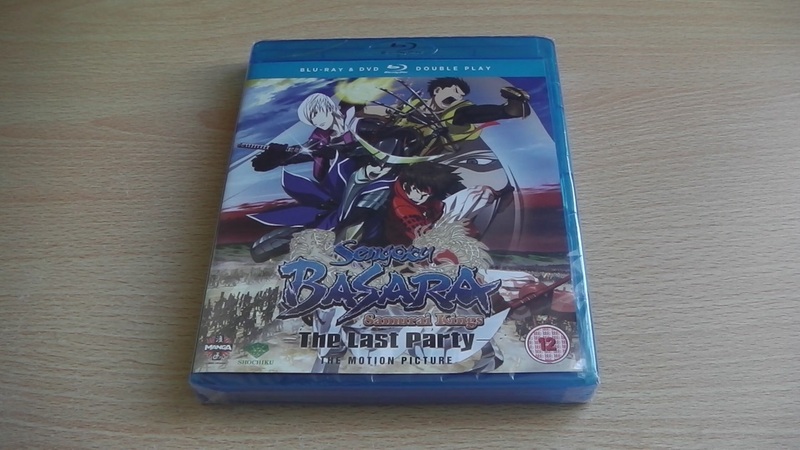 It’s highly unlikely that Manga Entertainment UK will release Season 2 on Blu-ray within the UK, but if you do decide to pick-up the Blu-ray then I recommend getting the Limited Edition version especially if you’ve got season 1 on Blu-ray.